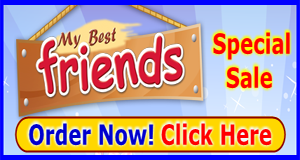 Fun & Creative Kids' Christian Magazine: "My Best Friends"
Update: The publisher has made some changes in their subscription basis, etc… get details here. 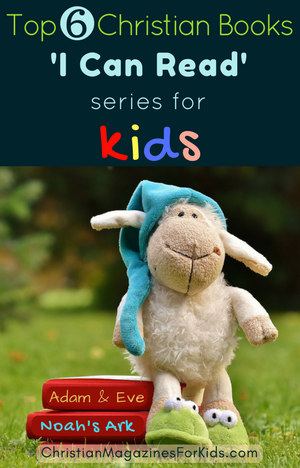 With so many Christian magazines for kids being published today, it can be challenging for us, as parents, to decide which one is best for our child. As a Christian mother, when it comes to educating my kids I’m very picky in selecting reading materials for them. Of course, I’m looking for those which teach about the Creator, illustrate moral values, and are fun and educational as well. Of all the Christian magazines for kids that I’ve looked at, the most unique is “My Best Friends” kids magazine. It is suitable for kids from kindergarten level to 9 or 10 years old. Have you heard of Highlights kids magazine? “My Best Friends” magazine is like a Bible-based “Highlights”. 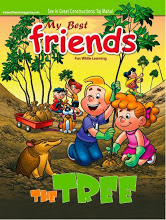 “My Best Friends” is a children’s magazine with 36 pages of high quality, attractive, illustrated colorful pictures, and packed full of fun learning activities. It is beautifully designed to inspire kids to reading. 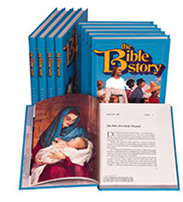 The purpose of “My Best Friends” magazine is to introduce children to Bible truths while at the same time teaching important life lessons in a fun and creative way. It stimulates thinking and reasoning, and it also promotes healthy choices and making right decisions. My Best Friends magazine is a wonderful magazine for young kids to get to know God better. It helps them to learn Christian teachings in a wonderful way and helps them grow spiritually. The kids get to enjoy this Christ-centered, beautifully-designed magazine in a kid-friendly way. “My Best Friends” covers a lot of different activities for children. It has plenty of pages for the children to learn in a fun way. This kid’s magazine is full of fun things and many educational activities for the children to do. To view the different fun activities of “My Best Friends” kids magazine (First Issue), find the Components section on the right side bar of this site. Cut and Glue – 2 pages of cut-out items to be folded and glued as a fun and educational activity. In the Science Fair section kids will have fun in science experiments. • Kids will enjoy making crafts. 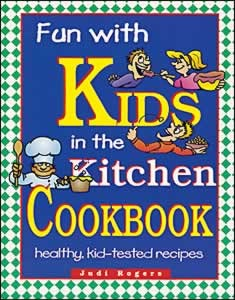 • The recipe section is a real healthy treat for them when they receive a new issue. The kids will be delighted when they see the games and puzzles which will help them in building their problem-solving skills in a non-stressful but challenging way. The “Everyday Life” section focuses the child on life skills. Each issue offers practical knowledge in applied life-skills such as: good table manners, to how to recognize, use, and properly account for money, etc. Kids love to read when the information are presented to them in a fun way. The magazine presents interesting research in history of famous people, great structures in geography, and funny facts from global news and current events. Kids will have a fun learning experience in biology – which is like a school field trip! Kids can submit their own drawings, poems and other artwork to be displayed in “The Gallery“. The children’s magazine also offers stories with good advice, which is essential in teaching right from wrong. The kids will learn to make right choices so that they can act their best and can get along with others. Towards the end of this Christian magazine for kids there’s a reflective page: “Think About It” which offers spiritual insight and encourages children to think for themselves. My Best Friends magazine is a great interactive magazine with a variety of educational and fun activities that will truly develop a child’s mind and solid character. My Best Friends is an educational magazine that shares Christian values; in fact, it is the only children’s magazine of this nature in North America today! My Best Friends magazine is a top pick to supplement your kid’s reading curriculum. The magazine’s wonderful illustrated pictures and lots of fun and interesting activities are very appealing to kids. You’ll find this magazine very useful in cultivating your kid’s reading habits. My Best Friends Magazine cost is much cheaper than investing in modern portable educational gadgets that offer very few learning purposes for your kids to explore, and these gadgets quickly become obsolete before you know it. This is a magazine of wholesome fun and entertaining activities with wonderful Christian teachings that your kids will love to read.. Your kids will be delighted to receive this very valuable gift – a gift with everlasting values. You will never be disappointed to order this Christian magazine for your own children, grandchildren, or for kids whom you care about. I highly recommend this great magazine to anyone who is involved in building up children’s lives for eternity. Christianity is based on the teachings of Jesus Christ as it is in the Bible. Christian magazines are publications that aim to elaborate these teachings further, and contain a variety of articles and content that is based upon the fundamental principles of Christianity. These magazines serve to portray the life and teachings of Christ through related editorials derived both from the Bible and from day to day life experiences. There are numerous types of Christian magazines available today, with different publishing schedules, all of which nurture and foster Christian morals. Among these are the Christian magazines for kids, specifically written and edited for the younger Christian generation. Bringing up children in a Christian foundation gives them a sense of belonging and a purpose of existence. The Bible is the primary source of Christian teachings, and it can sometimes be difficult for children to read and understand. Christian magazines for kids often use a language that is more easily understood by kids and presents the teachings of Christianity in a concept easily relatable by them. Christian magazines for kids also offer an alternative to the vast publications that tend to erode the morals of the young minds. The young mind is easily corruptible and what better alternative to all those unhealthy magazines than the Christian magazines for kids. It is also not possible for a parent or a guardian to be always there to teach and guide their children about the truths of life and the love of God. Negative influences from all directions and unhealthy peer pressure are just some of the things kids go through every day. Having several Christian magazines for kids lying around the home will offer solace to the troubled young minds. Picking the appropriate Christian Magazines for kids will largely depend on their age, level of knowledge and understanding. Even though all Christian magazines for kids are good, there are specific publications that address specific issues.